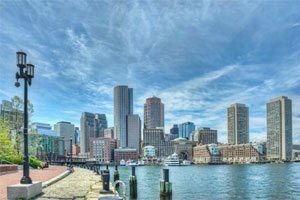 No existing direct connection between Scotland and Boston. 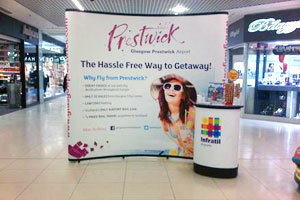 17,506 in-direct passengers flew from Prestwick’s catchment in 2013 (CAA Passenger Survey). No direct service from the West of Scotland. 20,295 passengers flew to Munich from Prestwick’s catchment area in 2013. Historically Ryanair operated Prestwick – Brussels Charleoi, carrying 99k passengers at peak in 2005, the route ceased in 2010 due to Ryanair’s strategy at that time. No direct service from the West of Scotland. 31,788 passengers flew from/to Prestwick’s catchment area in 2013 (latest CAA Survey data - Scotland), of which 26% were travelling on business. 88k German tourists visited Prestwick Airport’s catchment area in 2014. Previously served PIK – London Stansted, 250,000+ annual passengers. Stopped due to airline strategy at the time. 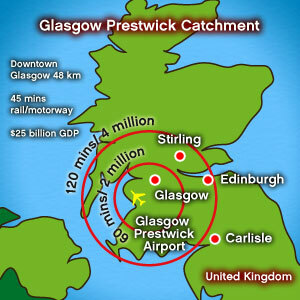 271,193 passengers flew in 2013 from/to Prestwick’s core catchment (where Prestwick is the closest airport). No direct service from the West of Scotland. 18,756 passengers flew to Munich from Prestwick’s catchment area in 2013. 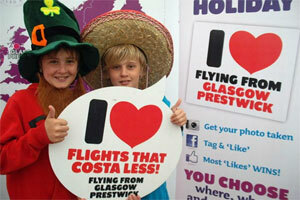 13,339 passengers flew to Orlando from Prestwick’s core catchment area in 2013. No direct service from the West of Scotland. 7,027 passengers flew to Oslo and a further 5,773 flew to Oslo Torp from Prestwick’s catchment area. Historically Ryanair operated Prestwick – Oslo Torp approx. 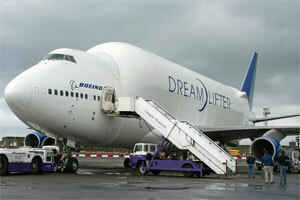 60k passengers per annum, route ceased in 2010 due to airline’s strategy at the time. No direct service from the West of Scotland. Route previously served by Ryanair from PIK with approx. 70,000 annual passengers. The route was moved to the East of Scotland to EDI in 2009. 17,033 passengers flew to Stockholm from Prestwick’s catchment area in 2013. Route opportunities at Glasgow Prestwick include Boston, the largest unserved market, while many other European destinations have a proven, recent track record of low cost airline viability. Our experienced Business Development team will provide start up assistance on a day to day basis to ensure the success of every new route launched. Prestwick Handling, the airport’s own in-house handling company, provides a highly professional service to meet every airline need, ensuring a fast and efficient turnaround and excellent customer service. We offer airlines the lowest possible cost base. Glasgow lies at the heart of one of the UK’s principal metropolitan areas with a population of around 2m and is Scotland’s largest city. The City of Glasgow has 4 universities and 19 colleges with a student population of 56,000 from 120 countries across the world. The City of Glasgow attracts 2.3m visitors per annum who generate £595m for the local economy. Multi-channel marketing support: Attractive route start-up programmes, include structured partnerships with key local stakeholders. 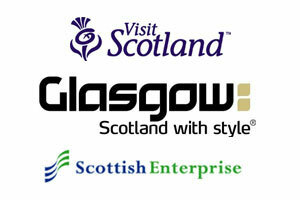 Glasgow Prestwick offers unique support in terms of marketing, working jointly with airlines to ensure successful operations and not just during start-up periods. We have expert knowledge of the local market and can offer dedicated marketing and PR support both financially and hands on. On-site branding to expose your product to existing traffic via light boxes, digital screens and banners. Digital Marketing – Website / Facebook (8k+) / newsletters (90k+). Partnership activity in newspapers and radio. 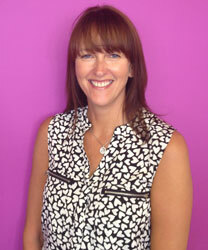 Targeted marketing to key employers/organisations in the West of Scotland. Our team works closely with local stakeholders and there are strong levels of support available from Visit Scotland, Glasgow City Marketing Bureau, Scottish Enterprise and local councils. Strong outbound catchment: Glasgow Prestwick's catchment area covers 75% of Scottish employment sites – propensity to travel is second only to London in the UK. 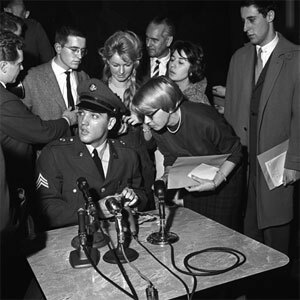 In 1960 Sergeant Elvis Presley made his one and only visit to the UK – a stopover at Glasgow Prestwick. Glasgow Prestwick has a large catchment area for outbound travel with more than 2 million people within 60 minute drive time and 4 million within 120 minutes. The catchment area is enhanced due to the airport’s integrated railway station, encompassing all of Scotland. Scottish people have a high propensity to fly, second only to London in the UK. The airport’s catchment area covers a total of 1.7 million employees, almost three quarters of the total employment across Scotland as a whole. In economic terms, Glasgow makes a powerful contribution to the Scottish economy. It is Scotland’s largest urban economy – with annual output of £15.7bn – which, in turn, supports the country’s largest centre of employment with total employment at around 443,000. Glasgow provides employment for 160,000 people who commute into the city to work. Now an overwhelmingly service sector economy, the city’s prime sectors are finance, retail, tourism, food and drink supported by a range of high value specialisms which include shipbuilding and marine technologies, enabling technologies, energy, life sciences and creative and cultural industries. Among the main employers are JP Morgan, Morgan Stanley, BNP Paribas, Barclays Wealth, National Australia Group, British Telecom, Lloyds Banking Group, Scottish Power and BBC Scotland. Glasgow has the reputation for being the friendliest city in the world. Glasgow’s super-league shopping status was confirmed in 2009 when the city was named the best place to shop in the UK outside London’s West End for the fifth consecutive year. 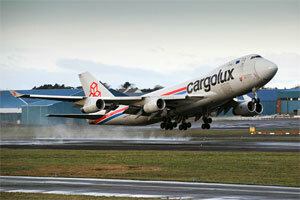 Glasgow Prestwick has seven scheduled 747 freighters services per week including Air France and the Cargolux 747-800. 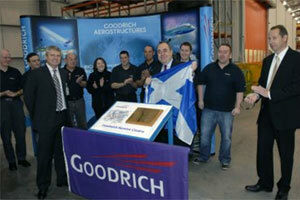 Scottish aerospace industry also benefits from Glasgow Prestwick's 24/7 operation – GE Caledonian, Spirit Aviation, and Goodrich are all based at the airport. Glasgow Prestwick currently handles seven scheduled 747 freighters per week including the 747-8, Cargolux and Air France are the primary customers serving the North Atlantic routes. 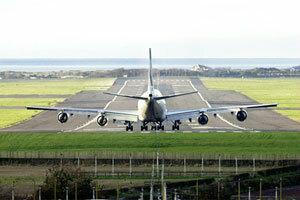 The airport handled 13,000 tonnes of cargo in 2011. 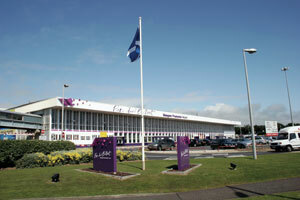 Glasgow Prestwick is the location for the Scottish Aerospace Industry with major players based at the airport, GE Caledonian, Spirit Aviation and Goodrich. Glasgow Prestwick is the preferred airport with the all the charter brokers for Oil and Gas equipment being moved to and from Aberdeen. The airport is only 4 hours by road from Aberdeen and is ideal for charter flights to all the important Oil and Gas centres worldwide. 24/7 operation no congestion in the air or on the ground. Compliant with all UK security directives, X-Ray, Hand Search and R.E.S.T. The longest in Scotland: The 2,978 metre runway has unobstructed approaches and no curfew giving maximum scheduling flexibility. 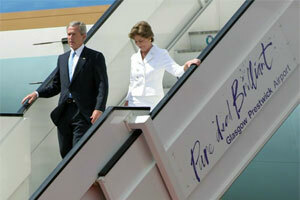 President George W. Bush used the airport en route to the G8 meeting at Gleneagles. Glasgow Prestwick has the best surface transport links of any Scottish airport. FREE rail travel is available to all passengers to/from anywhere in Scotland for the first six months of any new scheduled route, half price thereafter. 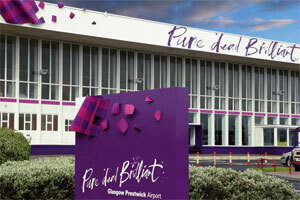 We believe Glasgow Prestwick can offer an efficient, hassle free and enjoyable experience to your customers. By making the Airport experience as simple, straightforward and pleasurable as possible the customer will be in the perfect frame of mind to enjoy their flight. In house passenger and aircraft handling means that we can control service levels from the minute a passenger arrives to the minute the aircraft departs. Charges can be structured on a per departing passenger basis (no MTOW charges) which shares the risk by only charging for passengers onboard. 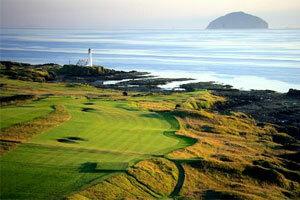 Offering the best deal available within the Scottish market.